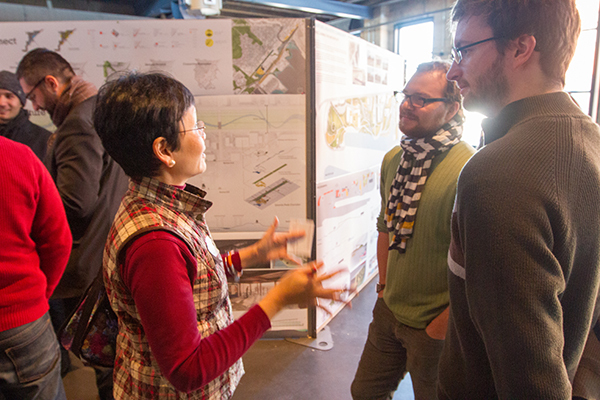 The atmosphere at Clyde Iron Works was one of excited anticipation as 33 UMN graduate Landscape Architecture and Architecture students presented their semester work to the public this week. 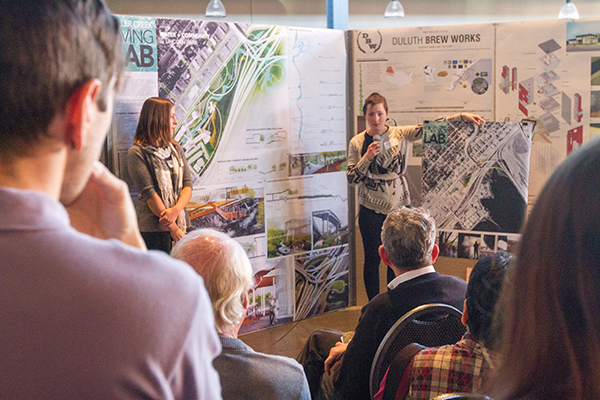 Working in teams of three, students presented 11 projects on diverse ideas for the future of Duluth, including smart manufacturing, an ecological stream lab, a hop production operation and neighborhood energy production. 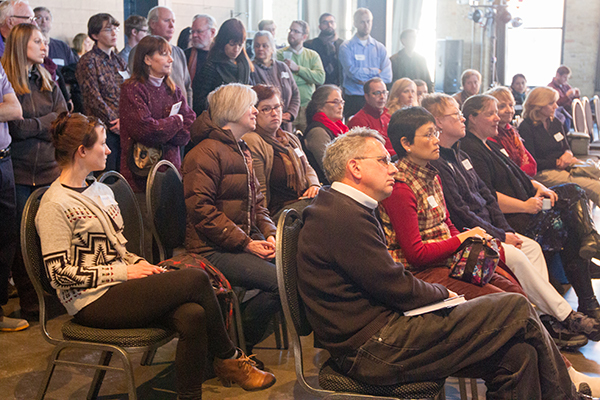 Each team collaborated with folks in Duluth, ranging from business owners to City staff to people representing various non-profits. 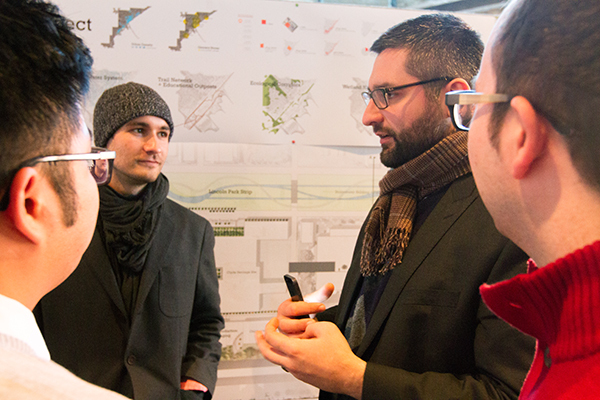 In town for the presentations were David Perkes and David Jurca, two experts in the field of Community Design. David Perkes founded the Gulf Coast Community Studio out of Mississippi State University in the wake of hurricane Katrina to provide design and research assistance to local communities and unique educational opportunities for students. David Jurca is the Associate Director of the Cleveland Urban Design Collaborative, which began in 1983 with similar goals of assisting communities in Northern Ohio and providing a platform for Kent State’s outreach and public service. 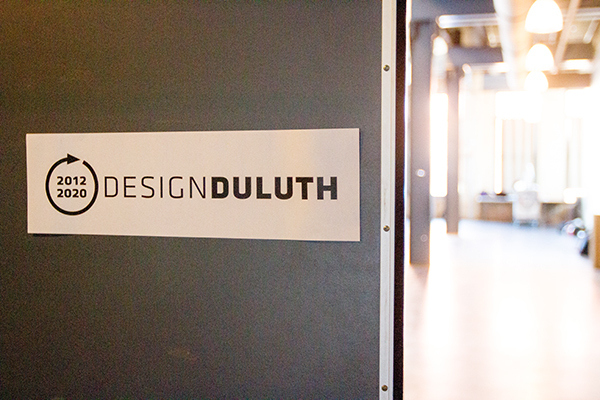 We are looking forward to conversations with both Davids as we look at how Design Duluth expands its offerings. 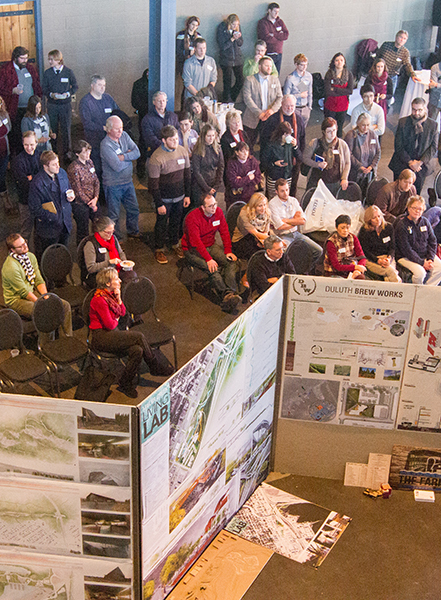 A fantastic crowd of Duluthians turned out to see the projects, give feedback on ideas, and discuss the future of Duluth with the students. It was a great day! 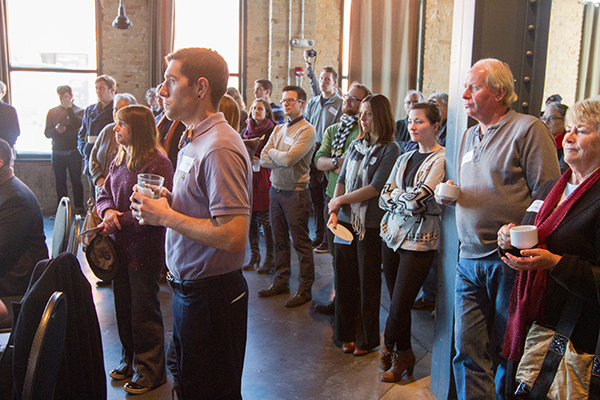 David Perkes and the home crowd take in the presentations. 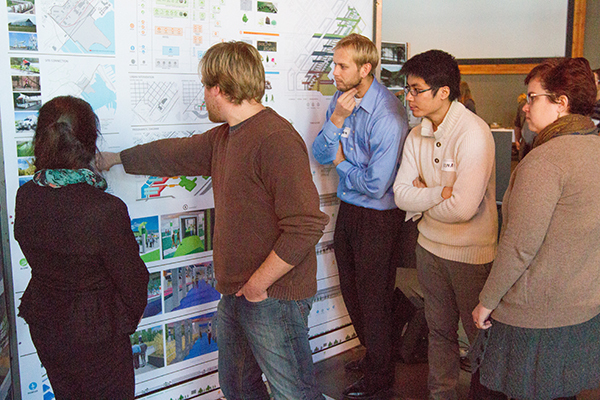 David Jurca speaks with students after they presented their project.